If you're planning a holiday next year and one of your children suffers with asthma, the findings of a new study may be of interest to you. Researchers in the US claim that 25% of severe asthma attacks could be prevented by people taking their medication as instructed - something which shows how important it is to remember any medicine before leaving for the airport. Scientists at Henry Ford Hospital in Detroit said that if patients used at least three-quarters of their medication over the correct length of time then their chances of an attack would drop. However, even if your little one has been taking their medication they could still suffer an attack, and if you're in another country you really want to make sure you've first arranged some medical travel insurance. 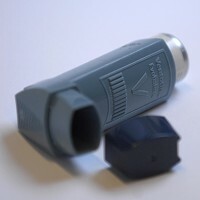 Nearly 300 patients were monitored over two years in the study, with the researchers urging people with uncontrolled asthma especially to take their medicines as prescribed. Writing in the Journal of Allergy and Clinical Immunology, they said: "Patients must use their asthma controller medication as prescribed if they want to have the best chance of preventing serious asthma attacks."